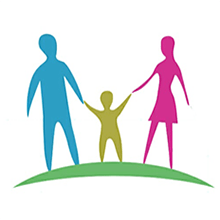 The early years of a child’s life are the most crucial in terms of proper growth and development. Infants have a biological need and desire to learn. And as parents, we should assist them in their learning phase by providing the right environment and stimulation activities. 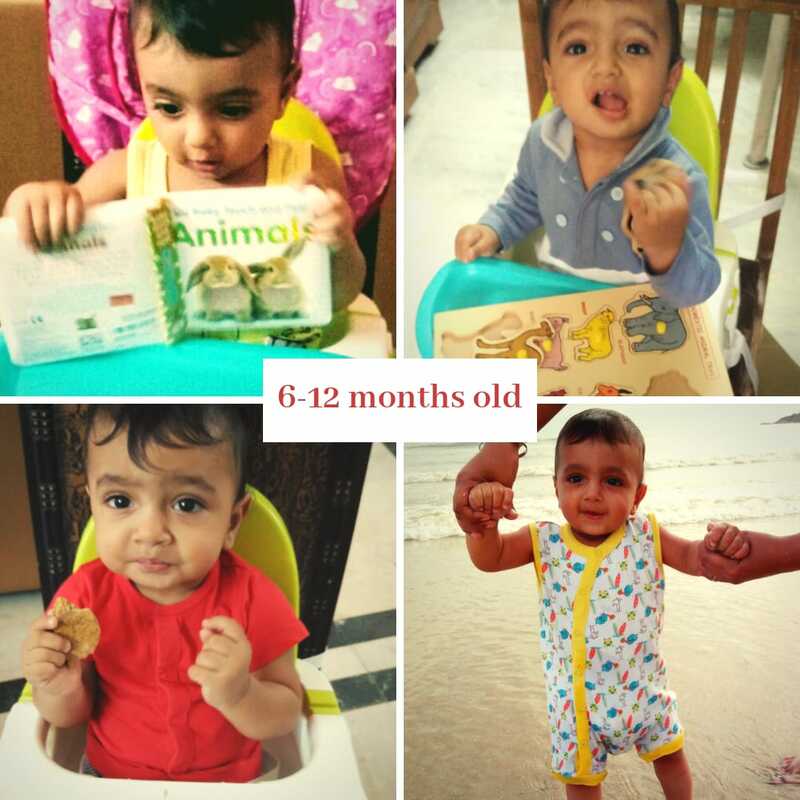 In my previous post on Feed IQ, I have written about the importance of cognitive milestones in infant cognition. 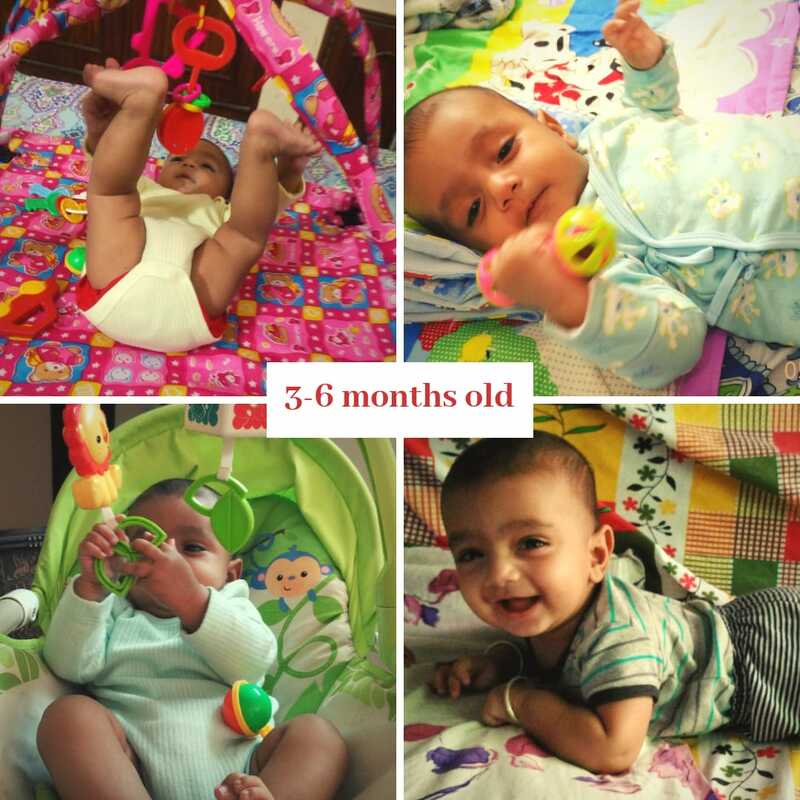 In today’s post, I will share some of the age-specific stimulation activities for infants to help in their cognitive development. 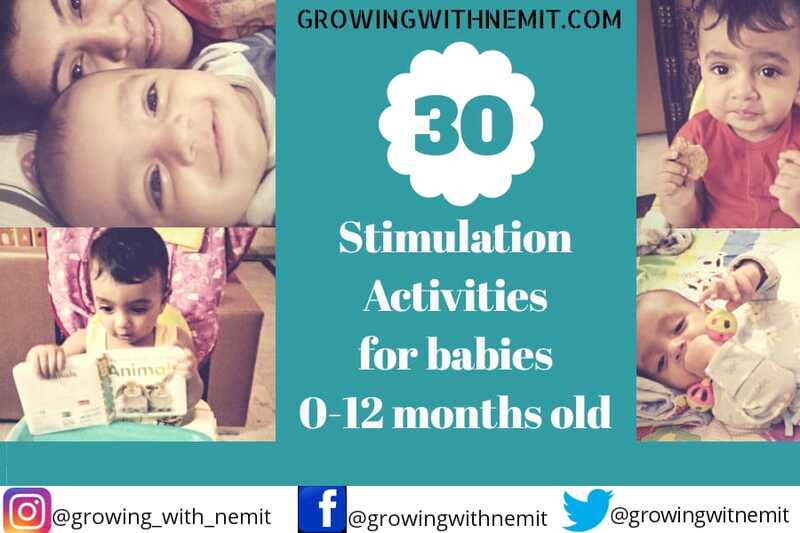 I am sharing the activities as per my experience which I used to do with Nemit. A baby’s first year is the most sensitive time for both baby and the mother. The first 3 months are quite tiring for a mom, with continuous breastfeeding, cleaning, changing and no proper sleep and rest in between. And that’s why it becomes a challenge to stay motivated and happy at all the times. If you are not happy, it will show up in your behavior. And believe me, these little babies can sense our stress or the stressful environment around them. The stress is not good even for your little ones, I hope you know that! Hence, it’s always better to take help from your partner or other family members during this time. The best you can do for yourself during the first 3 months is to take care of yourself. Take proper nutrition and include foods rich in DHA and natural Vitamin E in your diet as these are considered as brain-boosting nutrients for the baby. We are well aware of the significance of proper nutrition during pregnancy and breastfeeding in a baby’s growth. But parents often do not understand the importance of stimulation in a baby’s brain development. 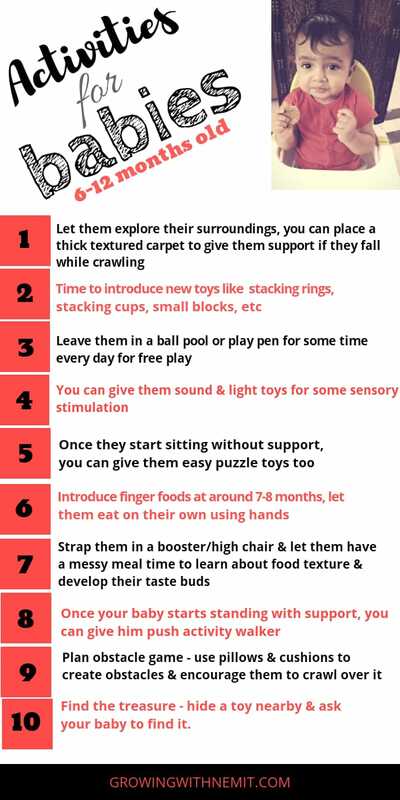 Let’s see some of the stimulation activities you can do for your baby’s overall development. One thing which I often hear from my friends who have babies in this age group is ‘My baby is too young to do any activity so what should I do? Such small babies just lie in one place, keep staring at the ceiling, and keep howling every 2 hours’. Yes, that’s true! But then what we moms do at that time? We feed them, caress them, talk to them in the cutest possible voice, clean them, rush to them on hearing their first squeak. That’s what we do to make them feel loved. And that’s what constitutes stimulation for them. Watch this video of Nemit responding to our talks when he was 2-months-old! The first 3-4 months, babies communicate their needs by making different sounds (i.e cry). This is the most important time to bond with your baby and understand his needs better. The best stimulation you can provide is through touch. When you breastfeed your baby, he gets the warmth and comfort. When you attend to his cries and give him attention, he feels safe and secure. Talk to your baby in a soft loving tone, he will love listening to you although he may be looking somewhere else his attention will be on your voice only. Soon after 3 months, the baby starts using movement and other sounds for learning & communicating. This is the best time to prepare a visual stimulatory environment and introduce sound-producing toys. Use colorful decorations in the baby’s room as they love to see around and observe things during this stage. You can give rattle toys, they will love to hold a rattle and shake it. And be ready to witness their cute toothless smiles while hearing the rattle create different sounds. You can also make simple toys & puzzles at home for your baby using the locally available materials! One of the favorite toys of all babies is play gym. My son rolled over for the first time while trying to grab a toy hanging on the play gym. Tummy time is another activity which helps them work on their neck muscles and strengthening their core. Talking and singing are one of the best ways to bond with your baby. Make faces and use different sounds to see how curious they get. Once your baby is halfway through his first year of life, it will be time for more exploration and more movement. Your baby will experience many physical, mental and emotional changes. And he may seem self-motivated to learn new things and explore new avenues. The first thing you should do is to make the surroundings baby friendly. At around 4 months, when our son first rolled over, we shifted our bed onto the floor. And soon after 6 months, we turned our home baby friendly. You can get many baby proofing techniques and ideas on Google. 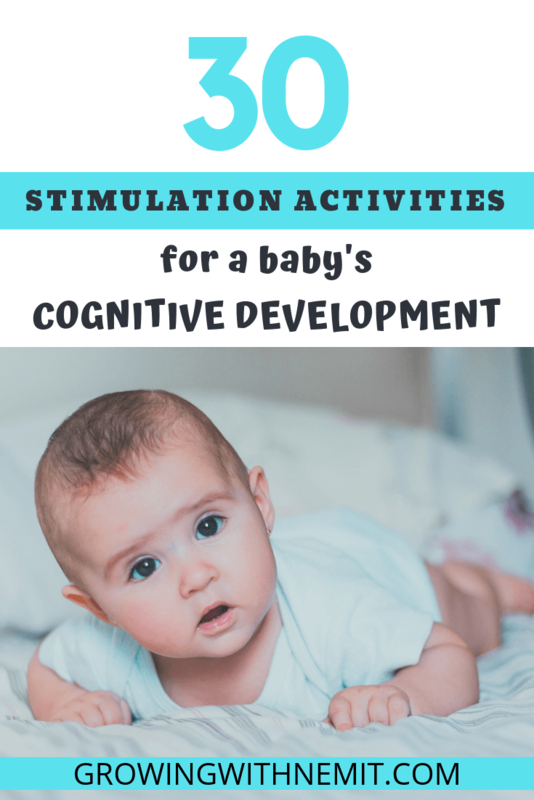 I hope you find these stimulation activities helpful and will assist in your baby’s cognitive development. Do spread the love by sharing this post with your friends and family. And tell me in the comments section what all activities you do/did with your babies as new parents. This was an exhaustive list of different activities to boost overall development in a baby. playing, cuddling, talking, feeding, all play an important role. Loved the cute video. 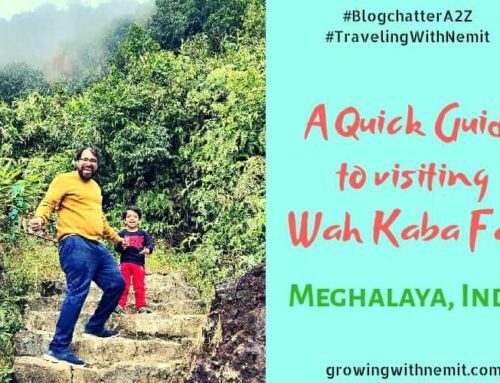 Another great post, Neha! Thank you so much, Deepa. I am glad you liked it. Absolutely agree with these activities. We did a lot of reading and story time and he enjoys it. Letting them explore the surroundings is quite important – gives a sense of independence. Thanks for sharing your experience, Tina! You have shared an exhaustive list Neha. Kids of this age are curious about everything. And it’s perfect time to help them grow with love and cuddles. We enjoyed our time with books, sensory plays and exploring. 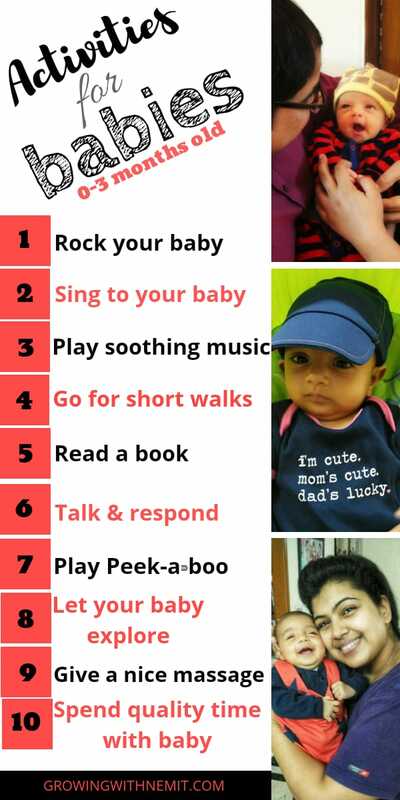 This is quite an exhaustive list Neha, wonderful brain-stimulating activities/ exercises for babies. Love the way you have personalized with the real images and experiences. This is a wonderful list that any new mom would be happy to have! Great effort by you to collate all the information. 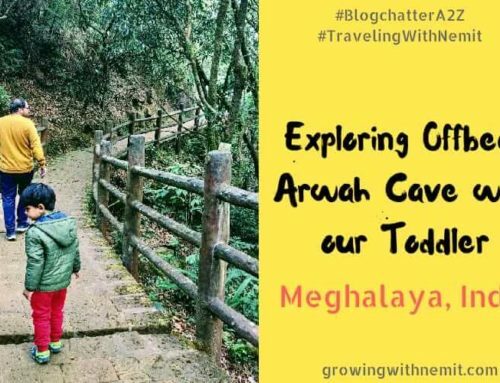 This is a complete & detailed list of activities to look forward to starting from birth to the first birthday of a baby, Neha. I love how much effort you put in every post to bring about the real purpose of such useful posts. 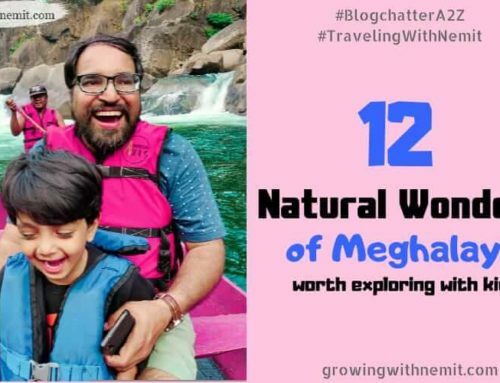 Absolutely agree with all these activities such a wonderful list and cute video. Keep posting such articles. Nice article and complete and detailed list of activities. Parents typically respond intuitively to cues from their child, picking them up when they cry and talking to them when they fuss. What many parents don’t know, however, is that by simply responding to their baby’s cues, they are helping their newborn’s brain develop. Awesome detailed post. Books, music, toys, talking- You mentioned them all. Love those cutesy pics and video. That was . a very detailed list of stimulating babies at varied ages. The right kind of food and stimulation plus a conducive environment at home plays a key role in ensuring cognitive development of babies. A very exhaustive list Neha. When babyT was a newborn I also felt at a loss as to how to stimulate him and how to interact. So i read up on it and realised that all his senses need to be appealed to. I wish I had stumbled upon this blog post back then It would have helped me immensely. Whoa! Neha, this is an extremely well-researched article. I am also pretty sure that a lot of it is based on your experience. I am going to share it with new mommies around. Good one! 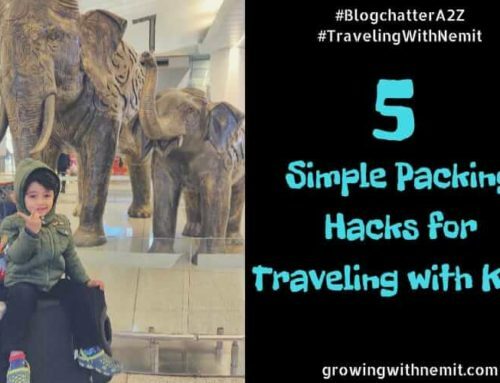 Your posts are always very informative Neha and so well written. 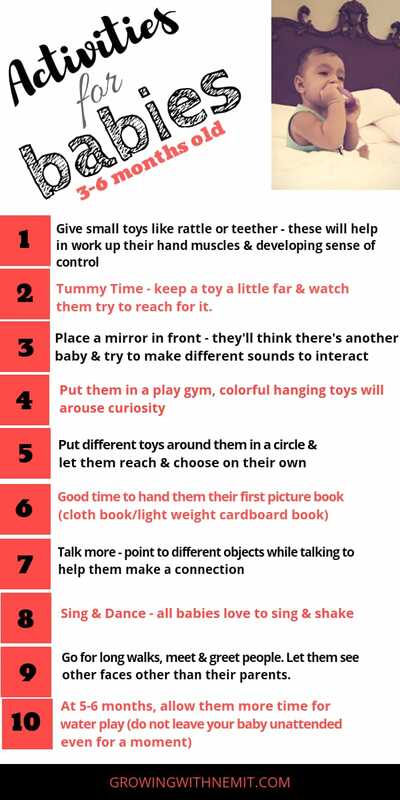 You have listed out great activities for new mums to help them with their new borns. We have used many of these when my Lalit one was young and it really helps. Wow. I wish I had read this article when my daughters were younger. 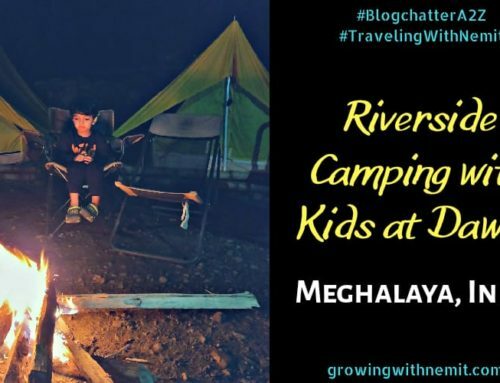 I am sharing this for benefits of other moms who have younger kids. This is such a fantastic resource for new moms. Pinning and bookmarking this! Thank you for putting together such a comprehensive list. Best part is that you have arranged it age wise. Makes it so easy to go to the relevant section and find new activities. I hate it when I have to scroll through endless lists to find something i can use.